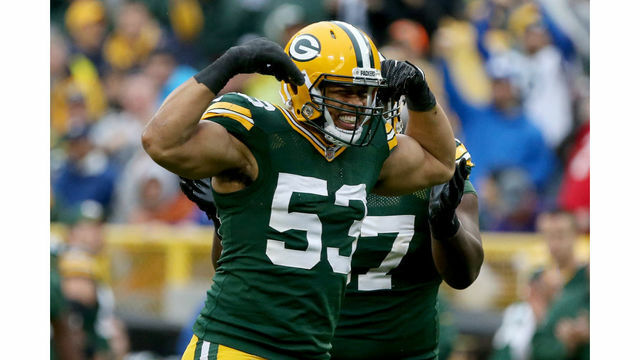 GREEN BAY, Wis. - After seven seasons the Packers are moving on from outside linebacker Nick Perry. On Tuesday, the team announced that they have released the pass rusher. Perry was drafted by Green Bay in the first round back in 2012. Over his seven years with the team, Perry racked up 32 sacks and 259 tackles. His best year in the green and gold came was back in 2016 when Perry finished with 11 sacks. That following offseason the Packers signed Perry to a contract extension reportedly for five years and $59.8 million dollars. By releasing Perry the Packers get out of that contract with only $11 million of "dead money" remaining on the deal. Injuries may be one of the things most Packers fans remember when it comes to Perry. After ending last season on injured reserve, Perry ended his time in Green Bay playing in only 48 out of 81 regular season games.